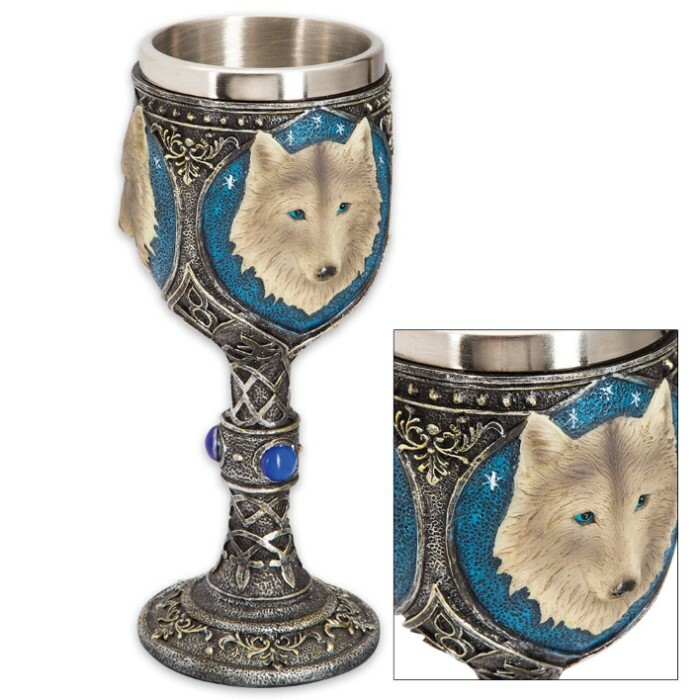 A gorgeous twist on the average humdrum wine goblet, the Call-of-the-Wild Fantasy Wolf Goblet is a truly stunning work-of-art that you can actually use. 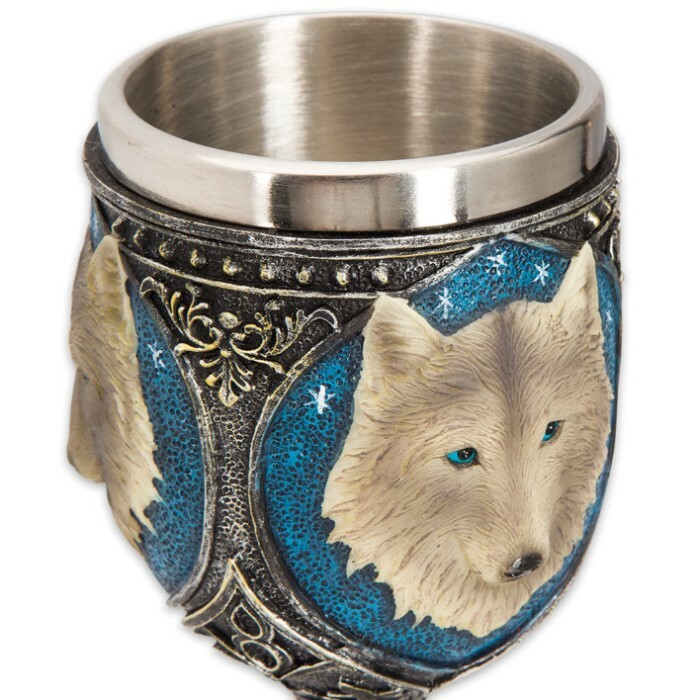 From three sides of the mug, the piercing aqua eyes of a beautifully sculpted wolf glare out intensely. The wolf’s head is cast in handsome 3-D relief, exquisitely textured and painted, on a background of aqua blue that pairs perfectly with those penetrating eyes. 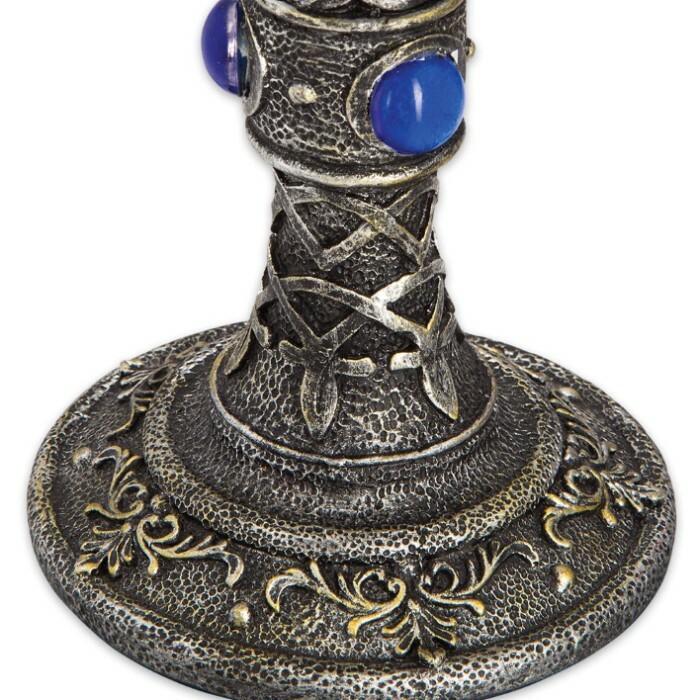 The wolf-and-sky motif is carefully placed among swirling raised Celtic patterns and lines in simulated antique pewter. All of this is forged with tough cold cast resin – made to last a lifetime. The cup’s inner liner is insulating stainless steel – perfect for hot and cold drinks. Get one to drink from and one to display; it looks too fantastic to not show it off!